Chatmate is the ultimate 3rd partzy instant messaging utility app. 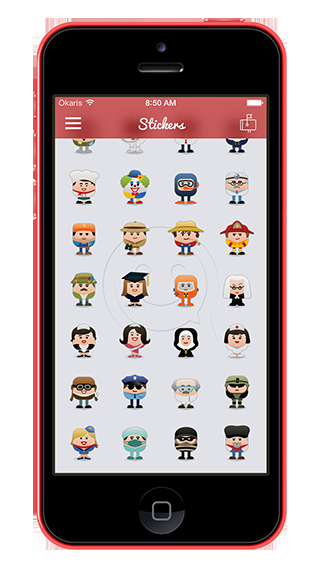 Chatmate includes dozens of Stickers and Emoji Art that you can send through your favorite chat app, whether it be WhatsApp, Facebook Messenger, Kik Messenger or any other. ChatMate was able to attract well over 2.5 Million users only on iOS!